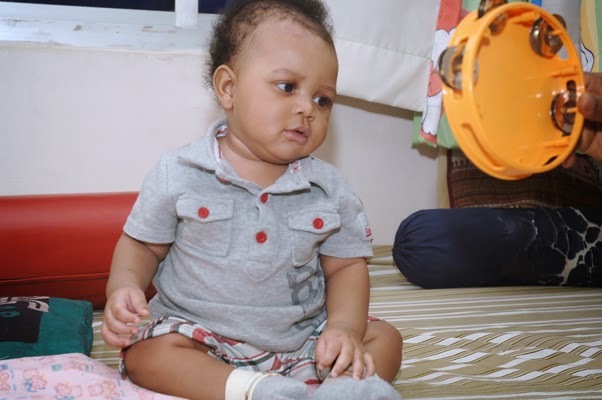 Born to Mr. Emmanuel and Ms. Precillar Gbolor in the West African nation of Liberia, Elijah Godwin Woods, now a 4 month old baby, had congenital glaucoma. The mother noticed that within a few days after birth the baby’s eyes were unusually red; the baby had trouble opening the eyes and could not face bright light. The mother, much to her dismay, also noticed corneal clouding in both of her baby's eyes. The anxious parents took the little child to the local hospital in Liberia where eye drops were prescribed. With no significant improvement, it was suspected to be a case of glaucoma. This development took place during the period when Dr G N Rao and his team from LVPEI were on an official visit to Liberia. As part of the itinerary, they toured the JFK Medical Centre where they chanced to meet Ms Precillar Gbolor who works as an operating room nurse at the JFK Medical Center in the capital city of Monrovia. On being informed of the child’s condition, they asked for a detailed medical report to be sent. After a thorough examination of the medical report, the little child was asked to be brought to India. Having made her way to LVPEI, Hyderabad, in India, Ms Precillar met Dr Anil K Mandal who confirmed that it was indeed a case of pediatric glaucoma. who not only explained the improving situation to her but also provided the much needed succour. Sheri Naga Chaitanya from Kakinada in Andhra Pradesh, was observed to have a white reflex in the left eye when he was four months old. 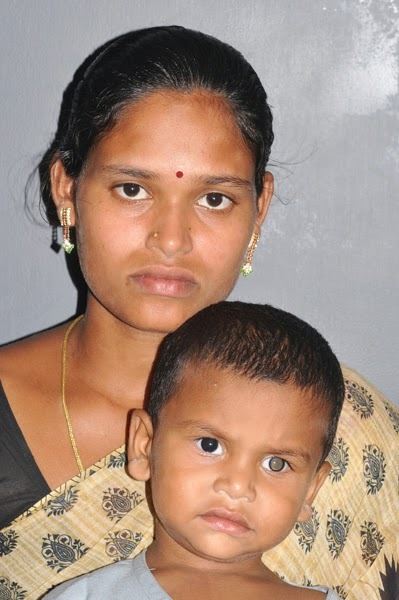 A local private hospital advised the child to be taken to either Madurai or Hyderabad. With fear and trepidation, the parents made their way to LVPEI in Hyderabad. A preliminary examination on 20 June 2012 revealed that the right eye was fixing light while the left eye was not. An EUA (Examination under anesthesia) was then performed. Even though the right eye was fixing, Retinoblastoma was observed in both the eyes. To the right eye, Focal treatment (Transpupillary thermo therapy) under anesthesia was given. Also six cycles of systemic chemotherapy was given with each cycle lasting for two days and each cycle spaced 3 weeks apart. Thanks to the treatment, the tumor in the right eye completely regressed at the end of six cycles. In the left eye where tumour recurrence was noticed on 9 October 2013 focal therapy was given. The parents continue to bring the child to the hospital once in six weeks as part of the ongoing treatment. 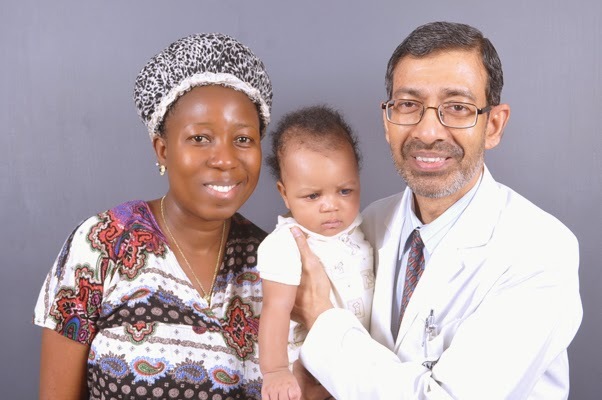 The parents are happy with the treatment and are extremely grateful to LVPEI's ocular oncology team for providing the treatment free of cost and giving a new lease of life to their little child.